There are two things immediately striking in Kenny Morgan. Firstly, the consistently formal forms of address used between most of the characters, despite them having known one another in some capacity or other for years. I suppose it’s a way of distinguishing cordial acquaintances from close friends. Secondly, there are more than enough lines retained from Terence Rattigan’s The Deep Blue Sea (a production of which very recently ended a run at the National Theatre) that a comparison between the two plays cannot be helped. 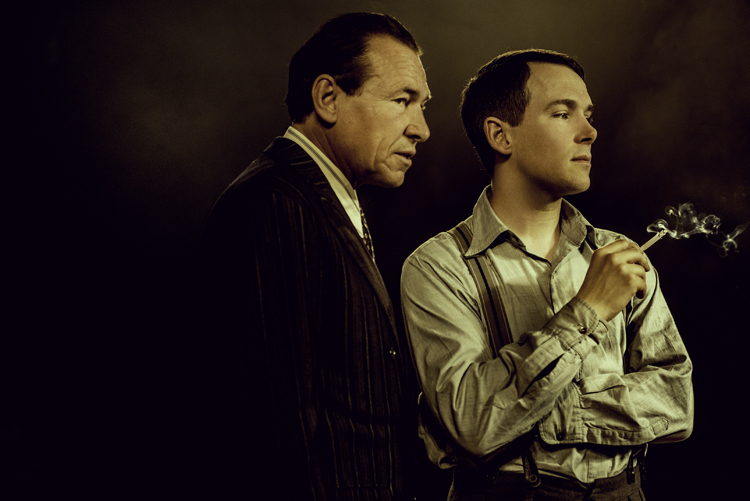 This does not mean that Kenny Morgan is essentially an adaptation of Rattigan’s work, and familiarity with the source play is not required to appreciate the intensity of this production. It deals with some uncomfortable issues whilst retaining more than a modicum of enjoyment for the audience in a script laced, often but not universally Rattigan-style, with subtle humour. This version of events originally depicted in The Deep Blue Sea, apparently far closer to real-life events than Rattigan’s play, is devoid of the borderline melodrama of the 1952 play, and is all the more credible for this. 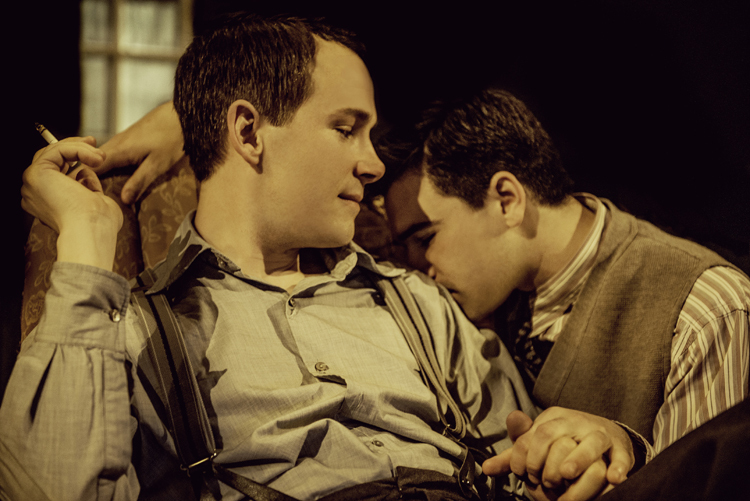 That said, it is worthy of note that until the Sexual Offences Act 1967 homosexual acts were illegal, and a year later the Theatres Act 1968 finally removed the censorship powers of the Lord Chamberlain’s Office. With this in mind, it is hardly Rattigan’s fault that The Deep Blue Sea had so many details changed from what really went on at the time that it has taken another play in another generation to expose (as it were) this story more fully. Some of the sound effects, however, were rather distracting. Given that this one of those plays where, like the best of Greek tragedies, the end result becomes apparent early on in proceedings, noises depicting the sound of a London Underground train were unhelpful, and even arguably distasteful as it brings to mind suicides and attempted suicides on the railways that occur to this day. 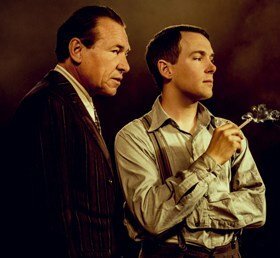 After a sluggish start, the play becomes increasingly gripping, and much wider in scope than just the life of Kenny Morgan (a mesmerising Paul Keating) being brought to a premature end. All of the characters are interesting, even if not altogether likeable – and well-cast at that. The concerned but matron-like approach of Mrs Simpson (Marlene Sidaway) contrasts with the calmer Mr Ritter (George Irving); the boyish impetuosity of Alec Lennox runs counter to the measured maturity of Norma Hastings (Lowenna Melrose). This isn’t, particularly in the second half, an easy play to watch. Occasionally, it drags, though this seems to produce the right sort of dramatic effect, as the internal struggle with Morgan becomes palpably fascinating. I am not sure what to make of the script’s digs at the theatrical world, though on balance there is nothing wrong with being able to laugh at oneself. The set and costumes are very distinctly late-1940s, and the clipped tones combined with witty dialogue brought Noel Coward to mind on occasion as opposed to Terence Rattigan. 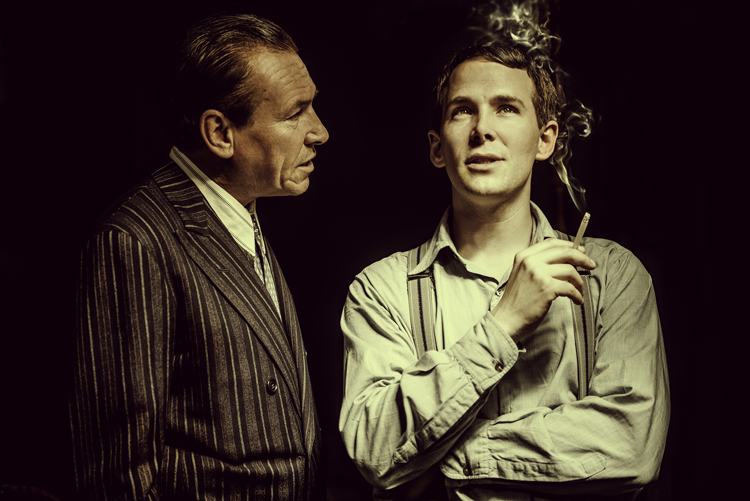 Speaking of Rattigan, played deftly by Simon Dutton, he is not without struggles of his own, despite being able to throw money at the comparatively impoverished Morgan. It’s a remarkably agreeable performance from Dutton, given the coolness, even aloofness, of the character. Perhaps the most poignant moment, though, comes when Mr Ritter, ‘born in Vienna’, gives an account of what happened to his fellow Jews in the Second World War, appealing to Morgan to get a grip. A riveting play that remains relevant to the world today, where a need for companionship and telling the truth is as strong as ever. A most thoughtful and powerful production.